When it comes to food, dogs tend to fall into one of two categories: chow hounds and picky pups. 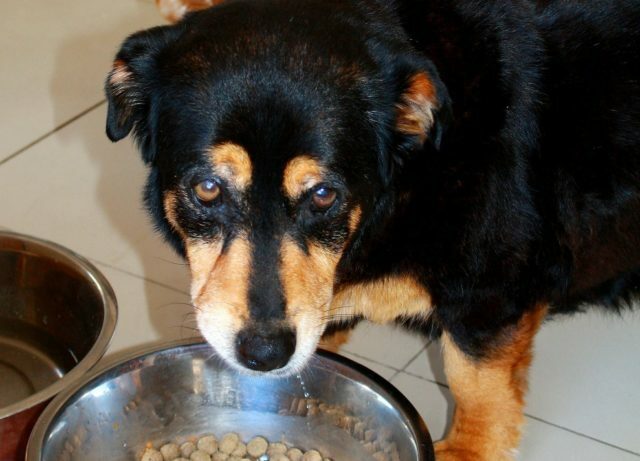 No matter which group your dog is in, it can be extremely frightening when they refuse to eat for days at a time. 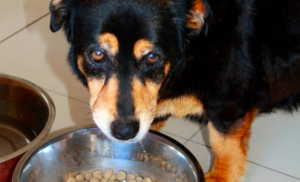 There are a variety of reasons dogs may experience a decrease in appetite. Note: Dogs have evolved to go without food for short periods of time, but if your pup is suffering from additional symptoms or is normally a great eater, it is best to seek treatment early. Related Post: Is It Normal For My Do To Always Act Like They’re Starving? Illness is the first thing that comes to mind when a dog with an otherwise healthy appetite goes off his food. Inappetence by itself is not necessarily a cause for concern, but watch for additional symptoms such as vomiting, diarrhea, dehydration, weight loss and lethargy that could indicate a more serious problem. 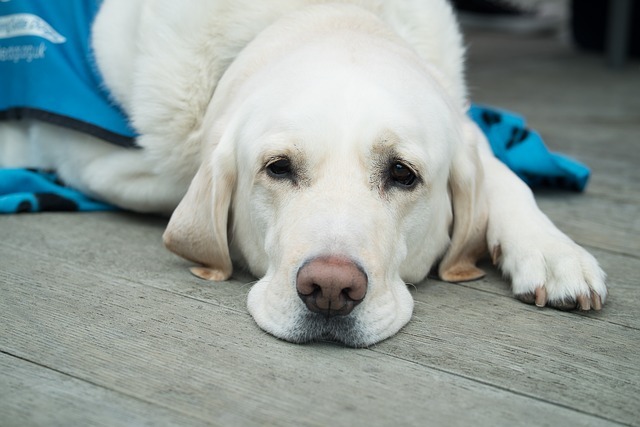 Since poor appetite often comes along with cancer, organ failure, infections, and many other major illnesses, it is best to seek veterinary attention if you feel your dog is “not himself.” Remember, no one knows your pup better than you! 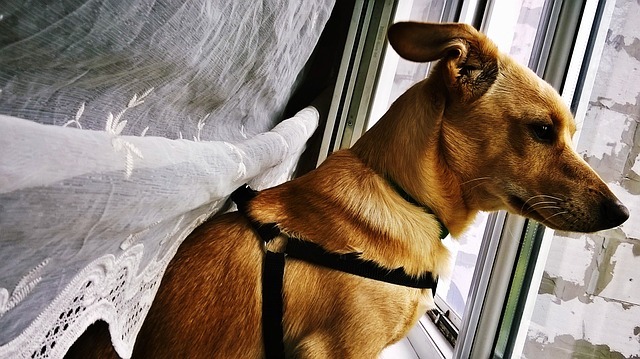 It may seem as if your dog is not eating enough based on the recommended feeding guidelines on your dog food bag, but many brands overestimate how much food is necessary to maintain health. It is also important to factor in any treats you may give throughout the day. Even low calorie snacks add up, and if your dog is not a big foodie, he may simply feel full after eating only a fraction of his meals. Try cutting back on the treats and setting up a reliable feeding schedule. Your dog may also benefit from a walk or play session before meal times to help him work up an appetite. Has anything recently changed in your dog’s life? As creatures of habit, they can become severely stressed after a major life change like the addition of another pet, a new baby, or moving to a new home. If any major changes seem to coincide with your dog’s inappetence, he may just need some time to adjust. However, if the problem does not resolve itself, he may be suffering from a more serious case of anxiety. (See #4). True anxiety is different than situational stress because it tends to be something dogs deal with on a consistent basis. It may be related to separation, loud noises or any number of triggers. 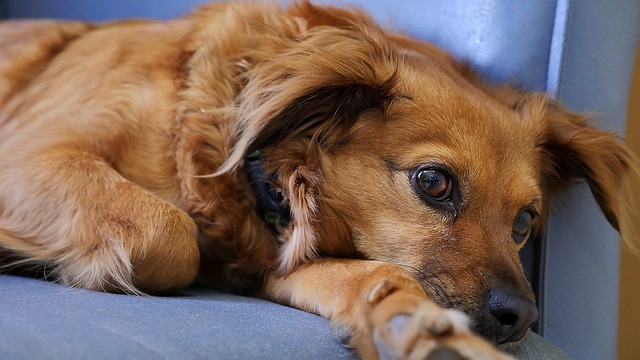 Dogs – and humans – have millions of neurons in their gut that interact with the central nervous system (CNS), so it is not uncommon for them to suffer from intermittent vomiting, diarrhea and poor appetite as a result of anxiety. If you suspect your dog suffers from anxiety and/or stress-related digestive problems, see your veterinarian. He or she can advise you on the right diet and may even recommend medication. Anyone who has ever experienced a toothache knows the last thing you want to do is chomp on something crunchy, so it is no wonder dogs suffering from dental disease often experience a loss of appetite. Not only can dental disease cause pain and inappetence, chronic plaque, tartar and infection can also contribute to heart, kidney and liver disease if left untreated. Rather than attempting to begin an oral care routine on a dog whose mouth is already painful, schedule an appointment for a dental exam. Your vet will determine what needs to be done to make your dog’s mouth healthy and pain-free before you begin caring for his teeth at home. It is quite common for dogs to experience lethargy, low-grade fever and inappetence after their routine vaccinations. These side effects should resolve within 24 hours. If your pup has a more extreme reaction such as vomiting, facial swelling, or hives, return to your vet’s office for treatment. Similarly, many common medications such as antibiotics and pain relievers are known to cause upset stomach which may also lead to a lack of appetite. Try giving all medications and supplements on a full stomach unless otherwise directed to help prevent digestive upset. As dogs age, they tend to slow down and expend less energy. Since they are resting more and exercising less, the amount of calories they need decreases. 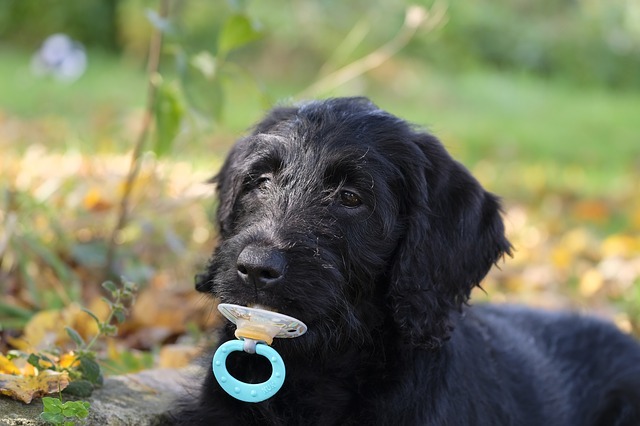 Depending on your dog’s size and breed, he may be considered a senior as early as age 6. 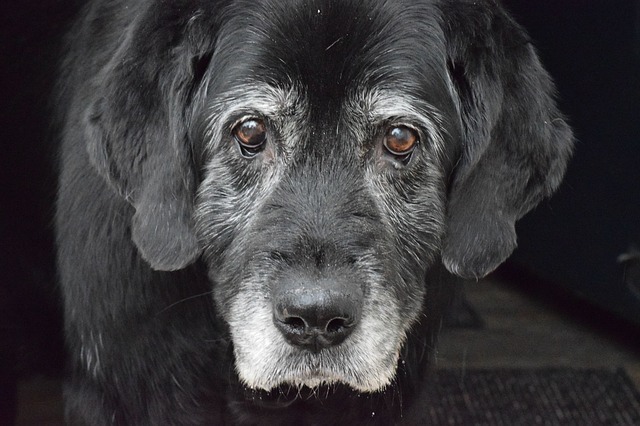 If your pooch is getting up there in years, schedule a senior pet exam with your vet to discuss which symptoms constitute normal aging changes and which are cause for concern. 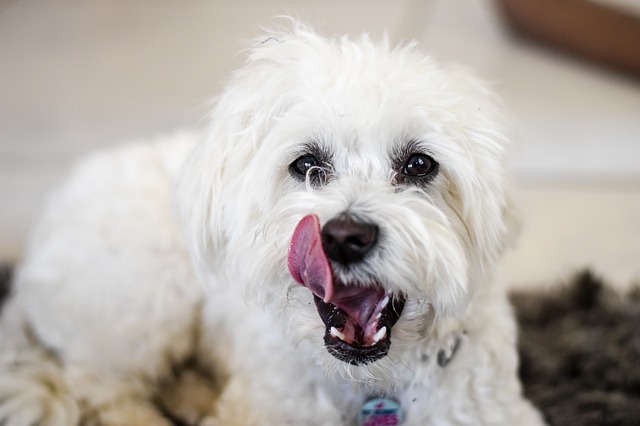 He or she can also help you choose a high-quality senior diet and determine healthy calorie intake for your individual dog. 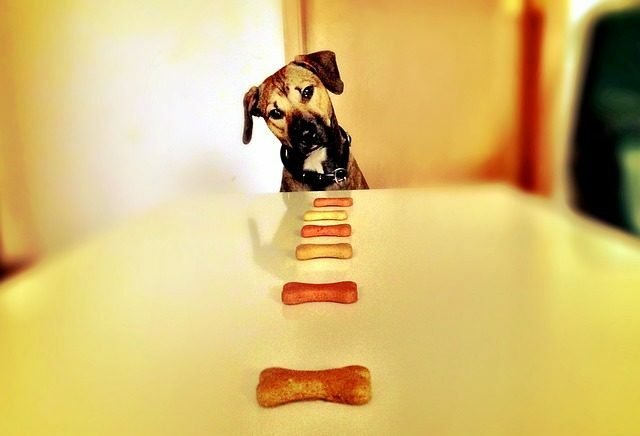 Last, but not least, some dogs really are picky! Fussy eating habits can often be traced back to the owner. If you supply delicious table scraps every time your pooch turns his nose up at his kibble, you can be sure he will learn to hold out for the good stuff! However, some dogs have a legitimate medical reason for their pickiness. They may be suffering from a food allergy or painful digestive condition and have learned to associate eating with their symptoms. When in doubt, seek veterinary attention. You can never be too cautious when it comes to your furry friend’s health!